Get your clothes looking clean and smelling fresh with the help of Nellie's Natural Laundry Soda 100 Load Tin. It features a powerful, hypoallergenic formula that destroys dirt and odor causing bacteria, leaving your articles soft, fresh and residue free. 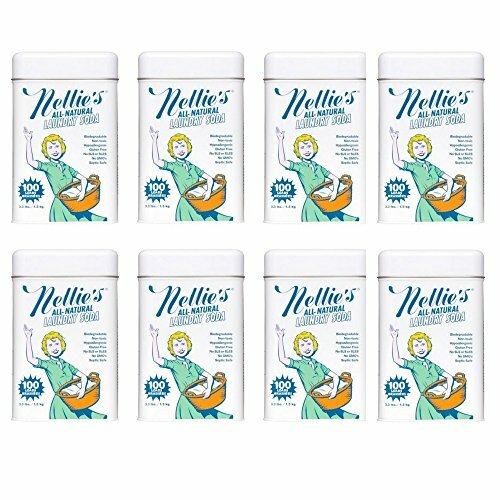 Nellie's all natural laundry soda requires just one tablespoon per load, for a total of 100 loads. *1 Tablespoon Is Needed For A Regular Size Load Of Laundry, Tin. Brand: by Batten Industries Inc. If you have any questions about this product by by Batten Industries Inc., contact us by completing and submitting the form below. If you are looking for a specif part number, please include it with your message.